I was diagnosed T1 diabetics at aged 16, however, I had had several peculiar symptoms for the diabetics such as draught, loosing weight despite eating a lot, cramp in my legs, etc. I have experienced a lot of unreasonable incidents, such as discrimination and prejudice. I think not only I but also everyone has the similar experience. Fortunately, I love travel very much. As I get insulin shot, I have visited various countries and seen those who are involved in diabetes including the diabetics. I come to notice the existence of the diabetics who cannot afford to get any diabetic care, though we live in the same globe. I cannot help feeling sorry for them and at the same time it makes me reach a kind of enlightenment. On the other hand, I cannot feeling shameful. What a narrow mind I had had! While I had been seeking for what I could do for them, I had been able to find Insulin for Life in Australia, which distributes insulin and other diabetic supplies needed by the diabetics free of charge, directed by Mr.Ron Raab. I tried to get in touch with him. Mr.Raab introduced me Dream Trust in India, which supports the diabetics who cannot afford to take diabetes care including obtaining insulin. I tried to do everything as long as I could do with continuing the work to support myself, however, the problem is so serious that only I cannot do solve it. Therefore, I reached the conclusion to establish the fund so that the peers who have the same problem as a diabetic may help one another. 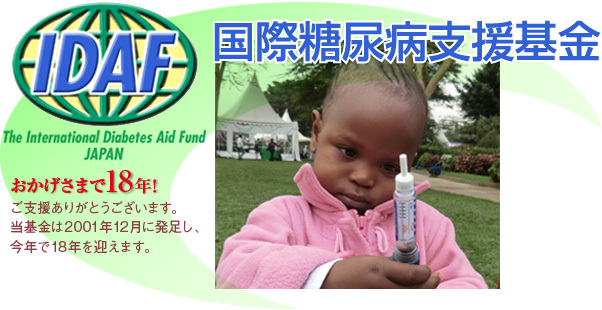 I hope as many as our fellows who have the same problem notice the luck taking diabetes care under the well-established medical insurance system in the industrialized countries including Japan. I believe it means "Supporting the others results in supporting ourselves. ", as the saying goes in Japan. The savings of lives those who have difficulty in accessing insulin and cannot afford the cost to procure diabetic medicines, because of their social, economic, isolated or culture circumstances, to help, sustain and maintain a quality of life. 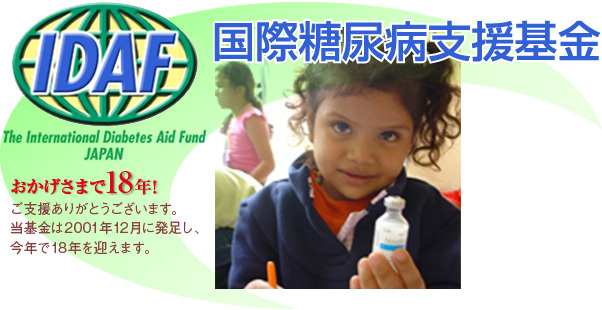 Support the diabetics who cannot afford to take diabetes-care, obtain insulin and other items in developing countries financially or by other possible ways. Collaborate with Insulin for Life and Dream Trust in India. 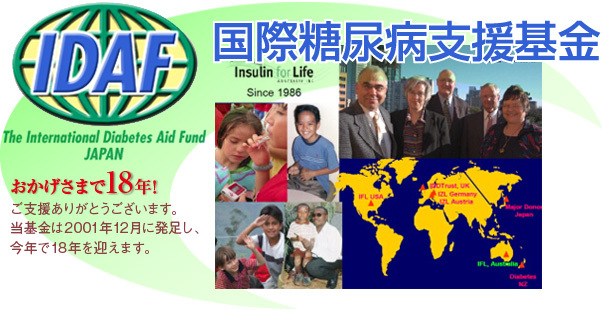 Provide the information on the diabetic situation in the world including the developing countries for Japanese diabetics, medical staffs and those who are interested in the problem. Encourage interactive understanding and support activity. 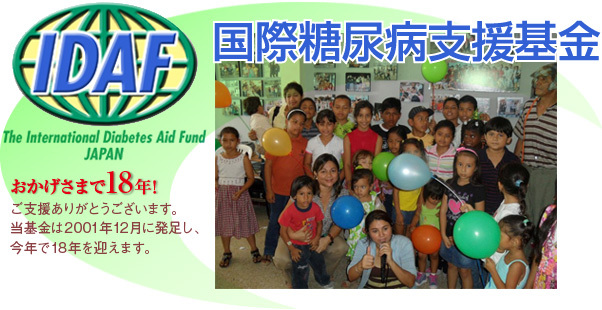 Not aim at making a profit through our activity, under the mind of love and mercy which are universal all human beings.